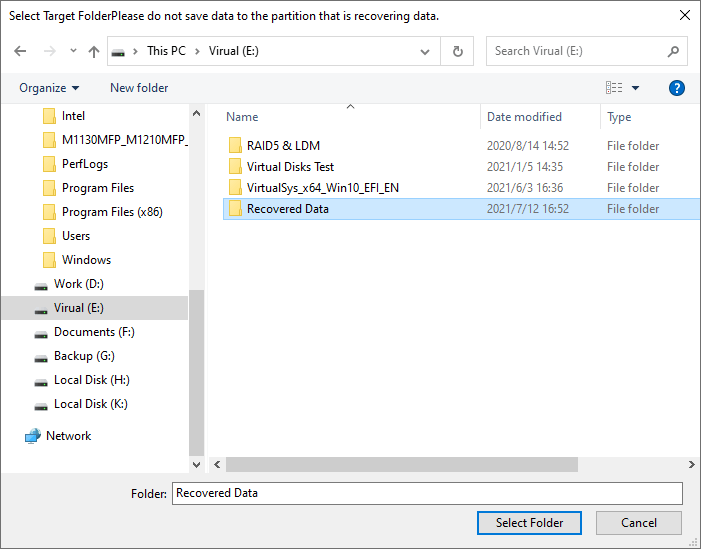 If the partition table is badly damaged, and partitions can not be found by the function "Recover Lost Partitions", you can use this function to search the disk directly. 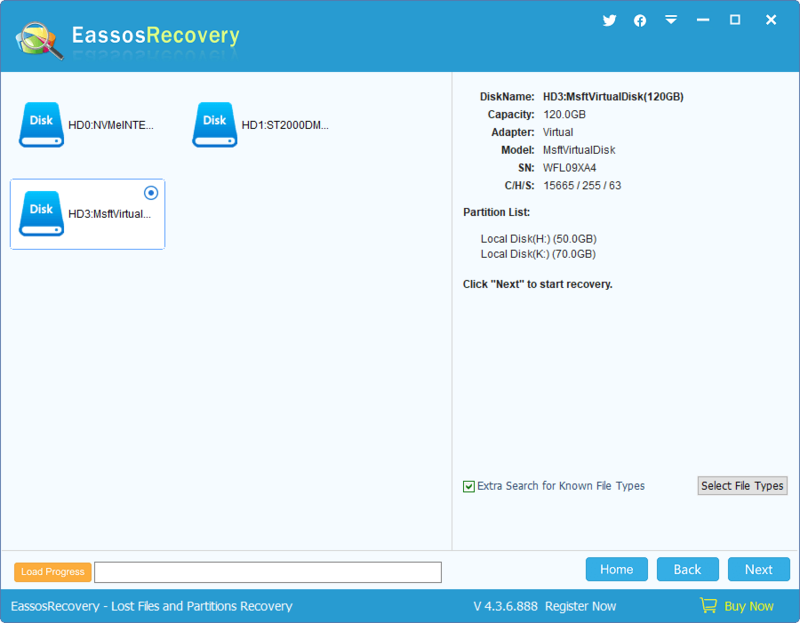 Eassos Recovery searches the whole disk, restores file directory as much as possible and classifies files by partition. This function applies to the situation that partition can not be recovered directly and files can not be recovered from partition directly. This function is split into three steps: Select Disk, Select Files to Recover and Save Recovered Files. Please select the disk you want to recover files, and its information including capacity, model, and partitions will be displayed on the right panel. If the selected disk is the one you want to recover files, then click the "Next" button. 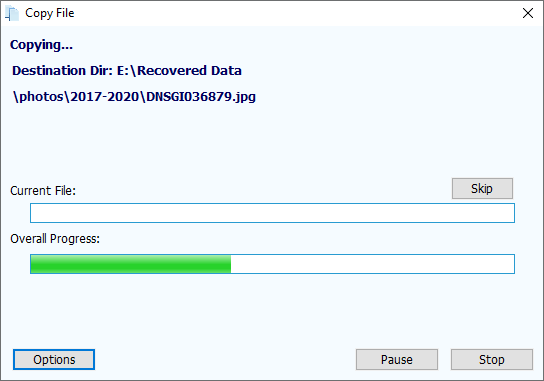 EassosRecovery will start searching files and enter next step - "Scan and select Files to recover". 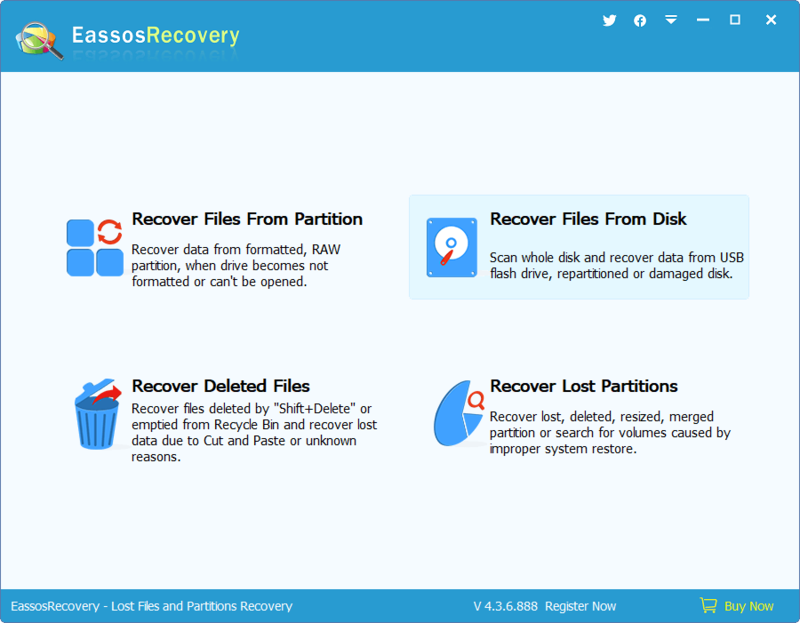 During scanning, Eassos Recovery displays all partitions and files it finds out and the way it displays files is similar to Windows Explore: file directory is on the left and file list is on the right. There is a check box before every file or folder. 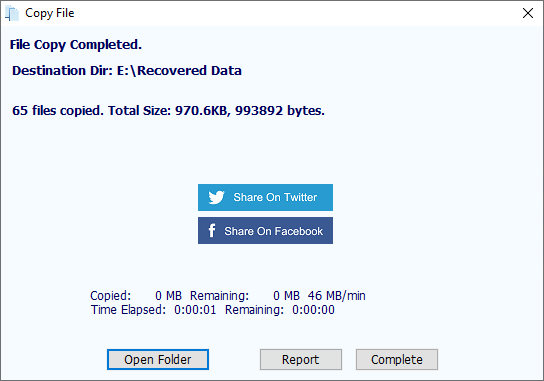 Check all files and folders you want to recover and click "Recover" to copy files. When you click a file, there'll be a preview thumbnail of the file on the lower right part. 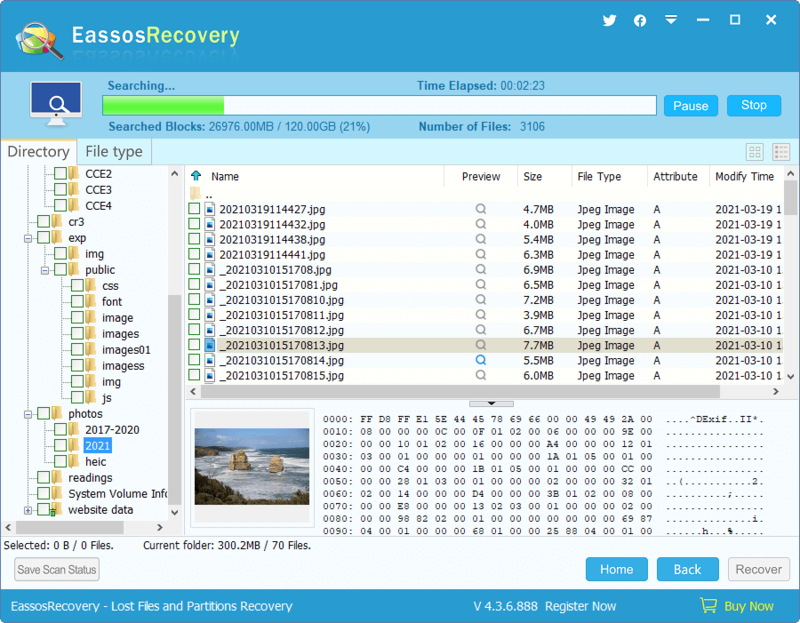 Eassos Recovery supports previewing pictures, text files and Office documents, by which you can judge whether files can be successfully recovered. You can filter files by setting the name pattern after scanning, file attribute, file size and midify time. Set your options and then click the "Filter" button. 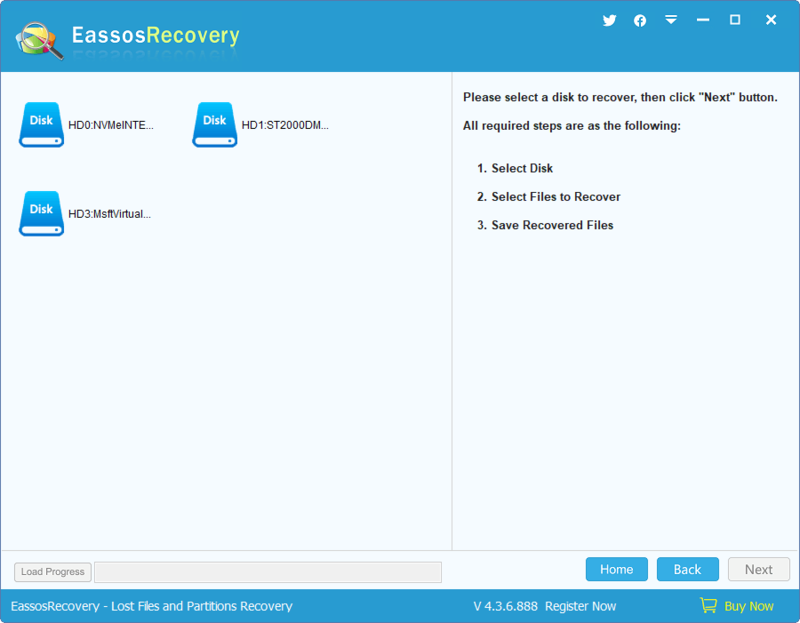 Eassos Recovery provides two ways to copy out the recovered files. One is the context menu. After checking the files and folders to be copied, right click the mouse button, a context menu will pop up. Then select "Copy to" and set a target folder to start copying. For more details, please refer to "Copy Files by Context Menu". Please select another target folder. 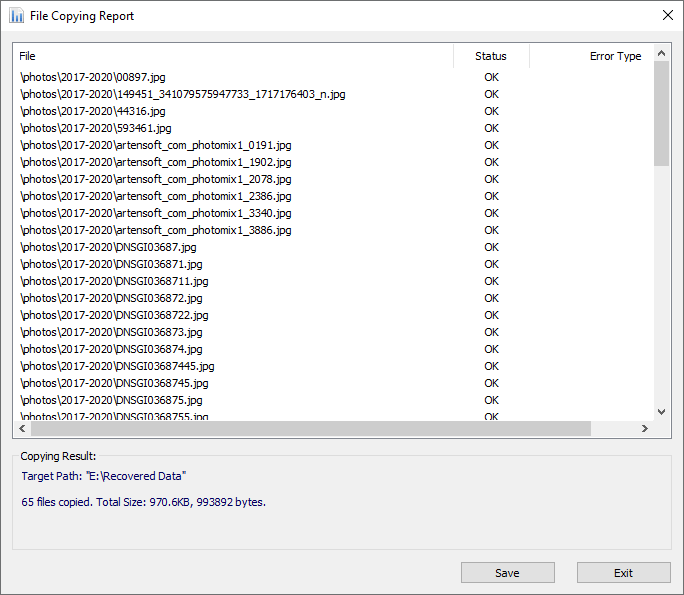 "Save Recovered Files" is shown in the following. When the copy is done the button "Stop" disappears and buttons "Complete" and "Details" show up. You can click the "Details" button to display a "File Copy Report", and then click "Save" to save the copy report to a text file.